As some of you may know, I ADORE movie scores, especially sweeping instrumental type soundracks, like this one promises to be. If there's already a thread on this I apologize. I'll keep my eye on the soundtrack info and keep everyone updated. Availability: This item will be released on April 26, 2005. You may order it now and we will ship it to you when it arrives. As always, please use our shopping affiliate links if you order from them. I really like the clips at the website, especially the "Path to Heaven". I was not familiar with the composer Harry Gregson-Williams before, but these clips are very promising and must be quite a change of pace from his animated features scores. I see he also attended the Guildhall School of Music and Drama! I love these kind of soundtracks and this one falls in the usual style of Ridley Scotts films. From what I've listned so far this one will be excellent. I'm looking forward to buy this cd. I am definitely buying this soundtrack. I have only heard the clips but I am enchanted. I think it will be another element, which will make this film special. The clips I have heard are powerful, moving, intricate, layered, soulful and exciting in turns; even though they are only snippets, I can feel different emotions that they bring across. My favourites of these clips are: Crusaders, Swordplay, Ibelin, The King, The Battle of Kerak, Wall Breached, and Pilgrim Road. Thank you very much for the link, MovieImp! Ridley Scott's first historical action drama since Gladiator saw a change-up in composers when longtime Scott collaborator Hans Zimmer turned the project over to Harry Gregson-Williams, Tony Scott's frequent collaborator. Should fans expect a rehash of Gladiator? Possibly. but don't. Gregson-Williams has created a diverse musical sound for himself in the past few years, composing scores for a wide array of genres ranging from Shrek to Man on Fire; his approach to Kingdom of Heaven was as different from Zimmer's Gladiator as he could get. This score will not be as immediately embraced as was Gladiator because it focuses less on the action, but the music's subtleties make this score an astounding repeat listening experience. There are some instrumental similarities to Gladiator in parts (namely "To Jerusalem" and "The King"), but we are dealing with a Ridley Scott historical picture, so this can be forgiven to some degree. Zimmer's Gladiator was bold and militaristic; Gregson-Williams, instead, took a more personal, introspective approach and developed the film's sound with fewer themes and more instrumental consistencies. Kingdom of Heaven features an astounding collection of choral hymn cues in Latin that immediately set the tone for a medieval religious crusade. Gregson-Williams also develops numerous ethnic sounds and moves the score along with impressive percussion orchestration. Rounding off the ensemble are the usual suspects for his scores: Hugh Marsh on electric violin, Martin Tillman on electric cello, and vocalist Lisbeth Scott. Some purists might see the use of electric strings as inappropriate for film set in medieval times, but the sound creates a harsh feel to the music that contrasts well with the angelic beauty of the choirs. In short, Gregson-Williams has created somewhat of an opera for Kingdom of Heaven. This is the first film of this epic scale and dramatic style that he has scored and the result demonstrates his skill as a composer; the music transcends the film and works as a cohesive album that develops both thematically and musically throughout. Gregson-Williams presents the main theme with the choir in the first few tracks. This theme is elusive because it passes between the chorus and vocalists and the orchestra and is used in various ways. The theme is built further with the orchestra in the latter parts of the album. For the Christian parts to the music, the choir, appropriately, sings in Latin. A secondary theme is introduced in "Ibelin", which is the first introduction to the Middle-Eastern influences in the score. "Rise a Knight" follows with the first fully orchestral statement of the main theme that builds during Balian's (Orlando Bloom) rousing speech that also brings forth the first prominent brass presence in the score. The second half of the album continues the use of brass and raises the level of percussion as the action begins. Nearly every cue has some presentation of the theme, either in short, ethereal vocals ("Better Man") or in full orchestral statements ("An Understanding"). "Better Man" also brings forth the heavy percussion and the harsher sounds of Tillman's electric cello. The heavy percussion continues in a massive cue, "Wall Breached", which is one of the album's highlights that also includes some of the best orchestral music between the percussion explosions. "An Understanding" and "The Pilgrim Road" develop some of the earlier ethnic ideas and culminates in the aftermath cue, "Saladin", with a poignant string statement of the theme with a horn countermelody. The final two tracks on the album are what could elevate the score's potential for the Oscars. "Path to Heaven" is a minute and a half solo choral cue in Latin that is breathtaking; the multiple parts weave together in beautiful suspensions. This cue is a culmination of the choral hymn ideas that permeate the rest of the score. The last track is a reprise of the Ibelin theme performed beautifully by Natacha Atlas in Arabic. Kingdom of Heaven reflects Harry Gregson-Williams' approach to Spy Game, which I consider one of his best to date. The mix of multiple vocal and choral elements mixed with layered strings and heavy percussive elements (in this case non-electronic) all supported lightly by the full orchestra. Like Spy Game, the themes are not bold and brassy as with a Zimmer score. Rather, the thematic material is always present in a subtle way that holds the music together, but rarely tells the listener blatantly that it is there. The score works as much as a classical piece as it does a film score. Gregson-Williams should be recognized for making the music different from past historical film scores while maintaining a realism to it by incorporating numerous ethnic and religious sounds. His mention of the "Rise a Knight" scene reminds me that my first viewing of that scene in the extended trailer made me realize that the score in this movie was really working. That scene knocks my socks off and I knew that the music in it just had to be the actual score for it. I love film scores and this one is yet another reason I am looking forward to this movie. Patty-thank you so much for that. Great article! I would have bought the soundtrack by default, even if it was just a 9-year old kid playing "heart and soul" over and over on a badly tuned piano. But after listening to these clips. !! I'm heading over tonight to our "shop our affiliates" button to place my order. I'm definitely getting this soundtrack. I got the Troy soundtrack before it hit theaters and it got me so excited to see the movie. I have a feeling this one will have the same effect. I am such the sucker for soundtracks. Between this and Star War's next month - I will be spending lots of money at some on-line stores. You know what Orlando soundtrack I wanted to get but it never seemed to come down in price? Ned Kelly. Ned Kelly is a great soundtrack and I love it. I got it through Amazon from one of their associates (musicmoviesource) for about $15, new. I just checked and that is still true. I don't know why Amazon itself only carries the import that costs so much. It is amazing to me that this score is by Klaus Badelt, the same composer who wrote PotC: CotBP. Both are favorites of mine, but could not be more different! Question, does the Ned Kelly soundrack have that one irish song that was sung in the movie? I love soundtracks, but very often my funds prevent me from buying them all. I will definitely be getting the KOH one though. I cannot wait to get this soundtrack!!! This soundtrack is stunning. I listened to all of the clips last night and totally fell in love with it. If I had to choose two favourites, they would be 'Swordplay' and 'Wall Breached'. The day this available in the shops I'm dashing out to buy it - immediatly! Soundtracks. Sometimes I think they live more than the movies. There are soundtracks more famous than their films. May be that is because we can listen everywhere and while doing somethingelse but when we watch, we have to do the watching only.Well, of course one could try studying looking at a certain actor. No harm in trying. A close friend of mine -who is seriously aware of my Bloom condition- told me she read in a paper that a Turkish+Kurdish band called "Kardeş Türküler" is involved with the soundtrack. But I have no idea, what kind of an involvment is that. Edit: Turkish internet sources say they made a ballad for the final scene in Kurdish. I will look for any English source. Ok, I found a Turkish source translating the highlights. 17 Ocak’ta Cennet Krallığı’na müzik yapmak için Londra’ya davet edilen topluluk, çalışmalarını tamamlayıp geçtiğimiz hafta başında Türkiye’ye döndü ve büyük bir heyecanla çalışmalarının ‘beğenilip beğenilmediği’ haberini beklemeye koyuldu. İki gün önce Harry Gregson-Williams’tan sürpriz bir telefon alan Kardeş Türküler, kendilerine yapılan yeni teklif üzerine hummalı bir çalışmaya girişti. Grubun filme yaptığı 9 dakikalık müziği çok beğendiğini ve yeni isteklerde bulunmak üzere Türkiye’ye geleceğini söyleyen Williams’ın, önümüzdeki hafta İstanbul’da olması bekleniyor. Londra’dan döner dönmez görüştüğümüz grup üyesi Rıza Okçu, “Bizim müziklerimizin böyle büyük bütçeli filmlerde kullanılması gurur verici.” diyor. Filmin müziklerini besteleyen Harry Gregson-Williams tarafından Cennet Krallığı’nın bir bölümüne müzik yapmak üzere Londra’ya davet edildiklerinde heyecanlandıklarını söyleyen Okçu, “Ama havaya girmedik. Önce filmi izlemek istediğimizi, çalışıp çalışmayacağımıza bundan sonra karar vereceğimizi ilettik. Çünkü filmin çok tartışma yaratacağını biliyoruz. Eğer Müslümanları küçük düşüren, onları barbar olarak gösteren bir film ise bunun müziğini yapamazdık. Film, beklediğimizden daha olumlu çıktı. Müslümanlara karşı sempati uyandıracak birçok sahne var. Mesela Selahattin Eyyubi’nin Kudüs’e giriş sahnesi çok önemli. Hiç kimsenin canına ve malına zarar vermeden Kudüs’ü teslim alıyor. Ve bundan sonra Kudüs için huzurlu bir dönem başlıyor.” şeklinde konuştu. Savaş sahnelerinin ve dramın hakim olduğu film için Kardeş Türküler, dramatik melodiler hazırlamış. Vokal ve enstrüman olarak grubun karakteristik özelliğini öne çıkaran yeni besteler yapan Kardeş Türküler, bazı sahneleri doğaçlama olarak gerçekleştirmiş. Selahattin Eyyubi’nin Kudüs’e giriş sahnesinde Kürtçe yeni bir şarkı okuyan topluluk, filmin iki yerinde de Arapça ve Ermenice ilahi söylüyor. Yaptıkları işin abartılmamasını isteyen topluluk üyeleri, “Vay be, demiyoruz. Neticede bir filme müzik yaptık. Türkiye’de dünyadaki birçok sanatçıdan üstün yetenekli müzisyenler var; ama dışarıda tanınmıyorlar. Biz müziğimizi yapıyoruz, kimseye de beğendirme çabamız yok.” diyor. Gladyatör filminin yönetmeni Ridley Scott tarafından çekilen 140 milyon dolarlık filmde, Orlando Bloom, Eva Gren, Liam Neeson ve Jeremy Irons gibi ünlü oyuncular rol alıyor. 12. yüzyılda şövalyeliğe yükselen bir demircinin Haçlı Savaşları sırasında Kudüs’ü kurtarmak için giriştiği mücadelesinin anlatıldığı film, Selahattin Eyyubi dönemini de kapsıyor. Hıristiyan, Yahudi ve Müslüman halkların Küdüs’ü kendi egemenliklerine almak için yaptığı savaşları beyazperdeye yansıtan filmin, özellikle Hıristiyan dünyasında nasıl karşılanacağı şimdiden merak konusu. Müslüman dünyasını daha “uygar ve gelişmiş”, Haçlı dünyasını da “vahşi ve barbar” olarak yorumlayan filmin, Batı’da büyük bir gürültü koparması bekleniyor. Hıristiyanları ‘savaş’ yanlısı ve ‘işgalci’ gibi gösteren ve Selahattin Eyyubi’nin Kudüs’e barışı getirdiğini savunan filmde, ‘Kudüs, üç dinin ortak kenti olsun’ mesajı öne çıkarılarak bugüne de göndermeler yapılıyor. Yine filmde Selahattin Eyyubi’nin Kürt kimliğinin öne çıkarılmasının da Türkiye’de rahatsızlığa yol açabileceği iddia ediliyor. Selahattin Eyyubi’den yola çıkılarak 12. yüzyılda Ortadoğu’ya barış getiren ismin bir Kürt olduğuna vurgu yapılması, Amerika’nın Irak’taki politikasına da destek olarak yorumlanıyor. Yahudi, Hıristiyan ve Müslümanların kardeşçe yaşadığı bir kenti anımsatması için filme ‘Cennet Krallığı’ adı verilmiş. Filmin senaryosunu yazan William Monahan’ın ünlü yazar Amin Malouf’un “Arapların Gözüyle Haçlı Seferleri (1096-1291)” adlı kitabından ilham aldığı belirtiliyor. Filmin, 12 Mayıs’ta bütün dünyada vizyona girmesi bekleniyor. The band was invited to London in 17th January to contribute to the soundtrack of Kingdom of Heaven. They got a surprise call from Harry Gregson-Williams and they started to work on the project. It is reported that Harry Gregson-Williams liked the 9 minute section and decided to request some extras. And they are expected to be in İstanbul next week. The band member Rıza Okçu, who we have interviewed as soon as he returned from London, said that they were proud to be involved with the project. And that they were very excited to recieve the invitation. He said that "We requested to see the movie first as it is sure that it is going to rise lots of debates. If it was a movie humilating muslims and showing them as barbarians, we wouldn't have accepted it. Movie was more positive than we have expected. There were many semphaty awakening scenes about muslims. For example the scene, Selahattin Eyyubi enetering Jerusalem was very important. He takes Jerusalem without harming any lives or any posessions and there begins a peaceful period for Jerusalem. The band has used dramatic melodies for the movie dominated by the war and dramatic scenes. For vocals and instrumentals they followed their own characteristic qualities with original compositions. They also have made some improvisations in some scenes. There is a new Kurdish song in the entering scene of Selahattin Eyyubi and they are also singing two Arabic and Armenian hymns. The band records that "there are lots of talented musicians out there and here just they are not known and this is not something to be exegerated, we just made our music." 140 million dollar movie is directed by Ridley Scott, director of ‘Gladiator’. 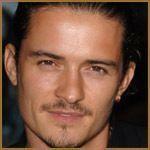 The actors are Orlando Bloom, Eva Gren, Liam Neeson and Jeremy Irons. The movie tells the tale of a blacksmith who becomes a knight in the 12th century and battles for Jerusalem. The story takes place in Selahattin Eyyubi period. The movie aims to reflect the Chrstian, Jewish and Muslim people’s battles, to conquer Jerusalem and especailly the reactions from Christian world expected with high curiosity. The way movie reflects the Muslim world more “civilisized” and “developed”, and the Crusaders “war mongering”, “wild” and “barbarian” could cause a big tantrum from Christians. The movie claims that Selahattin Eyyubi bringing peace in Jerusalem and sends a message to today as in: “Let Jerusalem be the city of three religions”. The movie is named “Kingdom of Heaven” to support and to remind the idea of a city where Jewish, Muslim and Christian people living together in peace. The writer of the senerio, William Monahan is said to be inspired by the book of Amin Malouf, “The Crusades Through Arab Eyes”. Great feedback! I'll go have myself a listen. It's always a positive sign when the soundtrack is getting good reviews, because a score can make a movie that much better. It has "Moreton Bay", which I think was the song sung by the band at the dance. Here's the Amazon entry, which has a 30 sec. clip of each cue. *sigh* Just got through listening to the soundtrack clips. Love all of them, but I think my favorite is "Ibelin" and "Light of Life". They are the same song, but "Light of Life" has lyrics which are sung in Latin.I think.I may be wrong in that. I'll definitely be stopping at Best Buy on Tuesday. The soundtrack review says that the lyrics are sung in Arabic. I also cannot wait to get this. I love soundtracks, they are really the only music I buy. So has anyone gotten a copy yet? I'll be getting mine tomorrow.we're leaving for Ireland, so I'll have lots of time to listen!! Am listening to it as I type!! Not at Borders or FYE. When I asked them if it came in they looked at me like I had two heads. OK, I know I'm a little OBsessed with this movie but the commercials for it have been on every major TV show for the past few weeks. Banners, posters, and that HUGE cardboard thing are at every movie theater around here. It seemed like they had never heard of it. I was very disappointed .